Use dip tanks for cleaning parts and sub-assemblies where the volume of work does not warrant a larger rinse tank. Portable size accommodates changing production requirements. Dip tank covers stay open for convenient access; self-closing mechanism and fusible link melts at 165°F (74ºC) to snap the cover shut in case of fire. Dip tank with polyethylene liner offers outstanding chemical resistance to permit use with the harsh, corrosive chemicals. 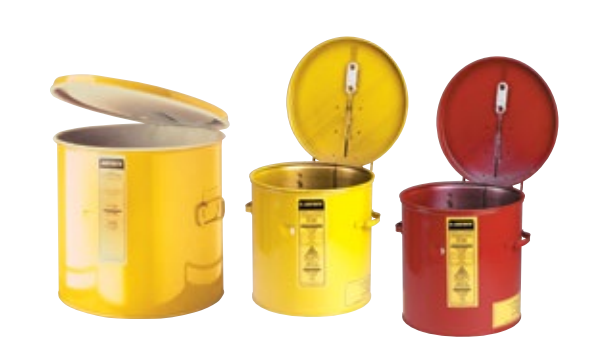 Manufactured from galvanised steel with a durable, powder coat paint finish, this FM tested.